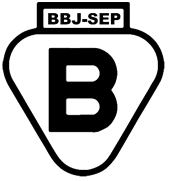 The B-BBJ mark is a registered by SEP-BBJ certification Mark for electrical products. It confirms that the products marked with it meet the requirements of the relevant Polish (PN), European (EN) and/or IEC standards, mainly related to safety, and therefore are safe and do not pose a threat to the people and the environment. Certification of compliance according to the B-BBJ program is a certification of type 5, covering testing and assessment of the product, pre-license inspection, as well as annual surveillance at the place of production and manufactured products collected from the producer and/or from the market. The certificate is issued for 5* years. *The validity of the certificate ceases automatically when one of the normative documents constituting the basis of the assessment ceases to be recognizing by the European Commission to be harmonized with one of the directives concerning a given product. Note: If the application-order is accompanied by a test report, please Declaration of Identity; in case if the application-order concerns the modification of your certificate / license, please complete Identification Statement.